The old bridge before construction began on the new version. 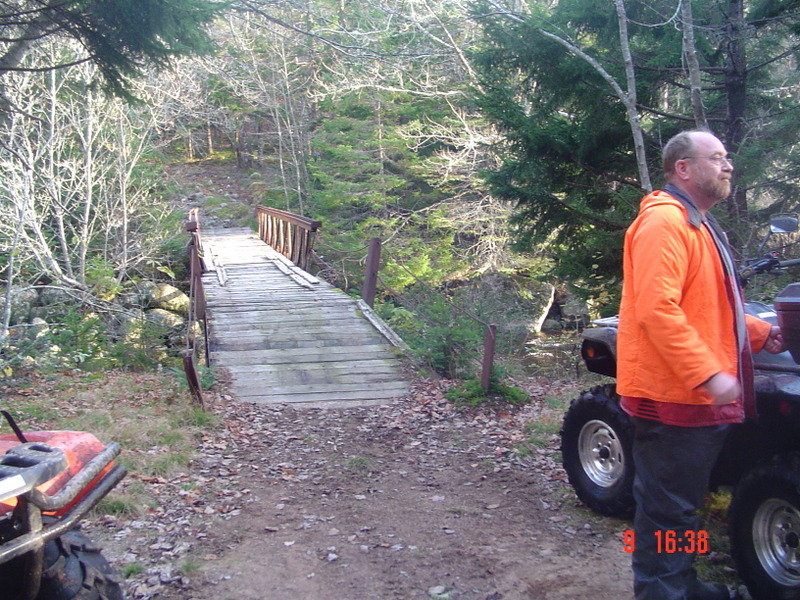 The new bridge with signage and trail maps erected. A five-year project that involved countless volunteer hours and effort, as well as funding from many supporters is finally complete. The new 66-foot bridge at the Nine Mile River is ready to safely transport trail users and will do so for many years to come. 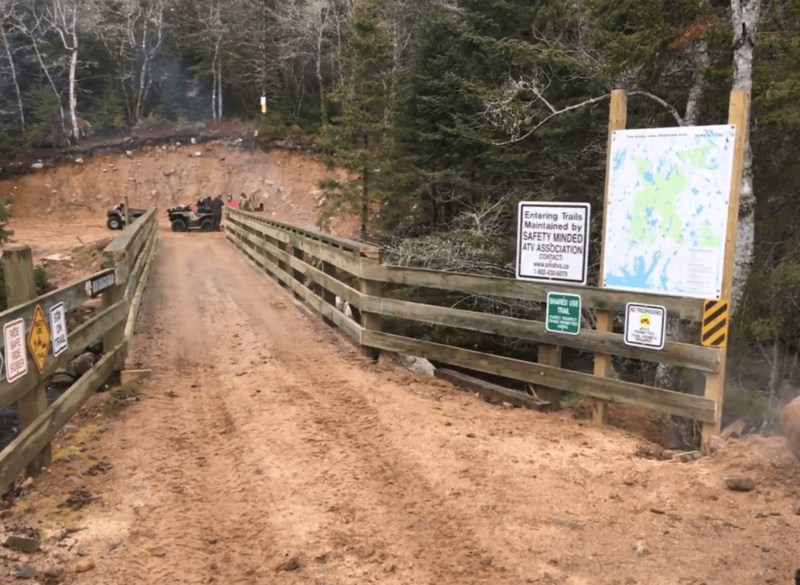 Trust Board Member Mike Marriott, project leader and President of Safety-Minded ATV Association (SMATVA), managed this awesome installation and is pleased to report that the final touches, including new signage and trail maps have been erected. In spring 2018, the Trust along with the SMATVA will plan a public celebration of this important link that ties trails from Goodwood right through to Seabright using the Old Coach Road and the Old St. Margaret’s Bay Road. Congratulations and thanks to everyone who contributed. 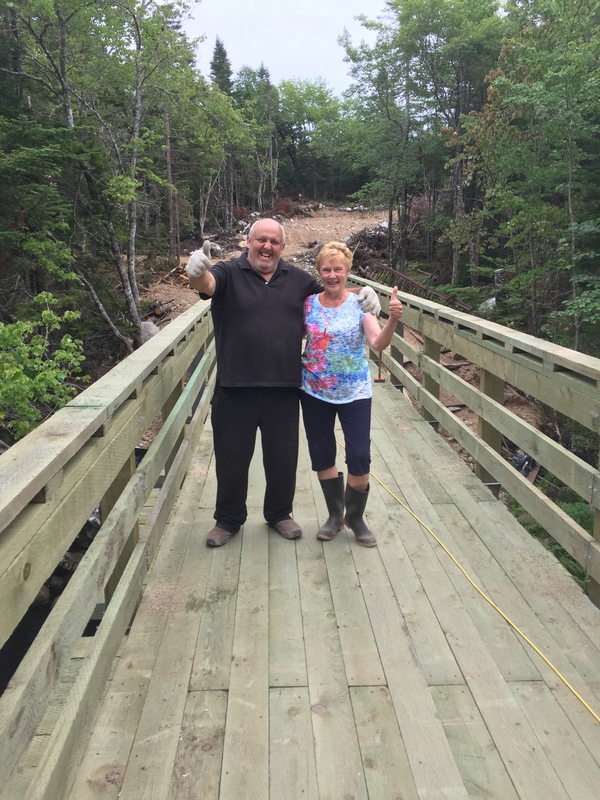 Mike and long-time Trust supporter and Board Advisor Beth McGee on the new bridge.